He seems perfectly happy to just sit there and take it. Then why do the ducks in my front yard run away when I spray them? 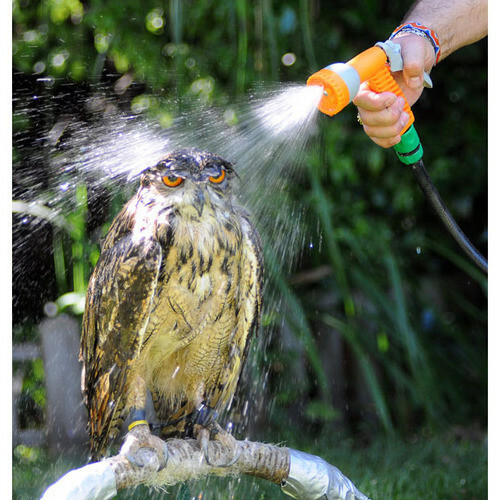 “Washing the owl” sounds like an obscure euphemism. What did I miss? I was upstairs washing the owl.